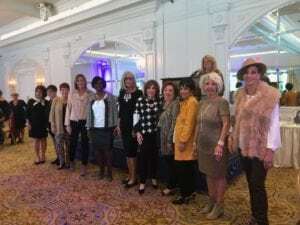 Stonebridge Women’s Club Fashion Show Makes Miracles! 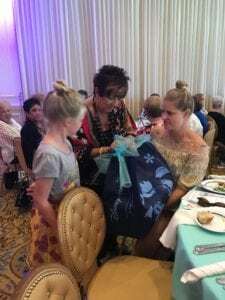 – Chico's FAS, Inc.
Stonebridge Women’s Club Fashion Show Makes Miracles! Last year, Linda Longo and RoseAnne Ricca saw Children’s Miracle Network Hospitals co-founder Marie Osmond in concert during a trip to Las Vegas. Marie spoke of her love for Children’s Miracle Network Hospitals while showing her “Music is Medicine” video. Her passion sparked something in the hearts of Linda and RoseAnne. 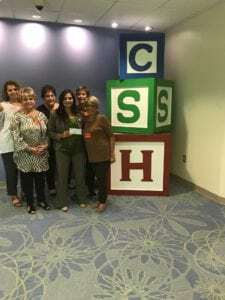 They took their newfound passion back to Stonebridge Women’s Club in Monroe, NJ and suggested Children’s Miracle Network Hospitals be their next charitable beneficiary. With the help of Chico’s FAS, a Children’s Miracle Network Hospitals national partner, the ladies at Stonebridge hosted a fashion show, dinner and tricky tray, raising an amazing $21,000 for Children’s Miracle Network Hospitals New Jersey beneficiary, Children’s Specialized Hospital. Dana and Dylan Klink, a patient family from Children’s Specialized Hospital, were honored guests at the event and shared their story. The Klink family has been ambassadors for Children’s Specialized Hospital and Children’s Miracle Network Hospitals ever since Dylan suffered from a stroke at only 2 years old. Now, a strong and vivacious third grader, Dylan serves as an inspiration to many and her family continues to support the hospital with both advocacy and fundraising efforts. Director of Fundraising and Operations at Children’s Specialized Hospital Foundation, Nicole Hudson shared her gratitude with the group along with a special delivery all the way from Las Vegas! Marie Osmond sent the ladies a personalized thank you for helping make miracles! 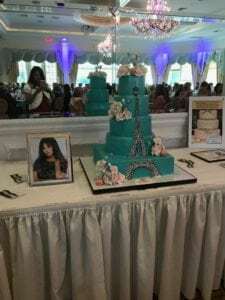 Special thank you to all of the women at Stonebridge Women’s Club, especially Linda Longo, RoseAnne Ricca, Liz Silecchia, Bonnie Silleck and Dawn Ricca from Have Your Cake! 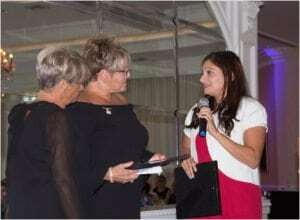 Previous post: Stonebridge Women’s Club Fashion Show Makes Miracles!